work of artistic nature with this font, I will be glad to publ ish it in social netwo rks. a tribute to his art, in a free interpretation of his scripts. 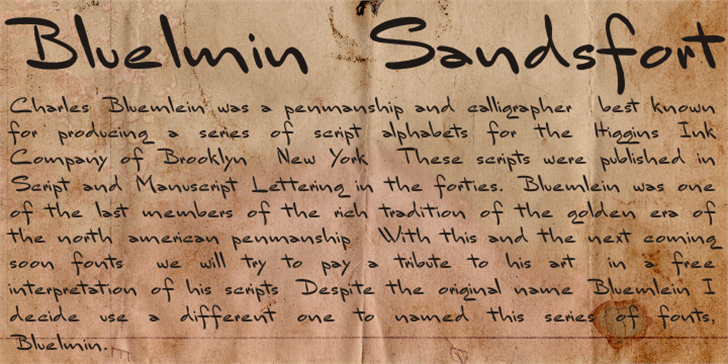 Despite the original name Bluemlein I decide use a different one to named this series of fonts, Bluelmin.